In 2011, Buffalo Bayou Partnership (BBP) in Houston, Texas rediscovered a site that housed a historical and architectural underground treasure. 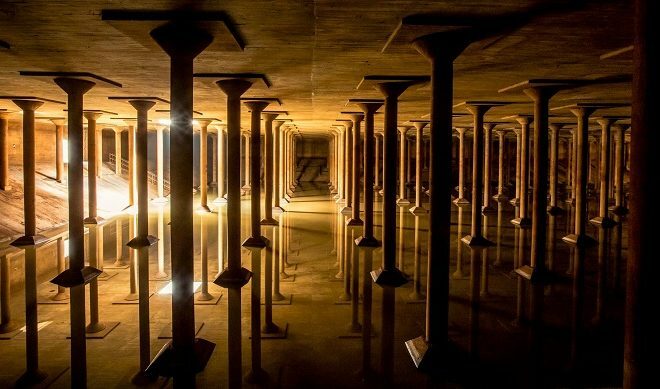 While developing a $58 million Buffalo Bayou Park project, BBP discovered this important part of Houston History and transformed what once was a former underground drinking water reservoir into a public space know known as the Buffalo Bayou Park Cistern. 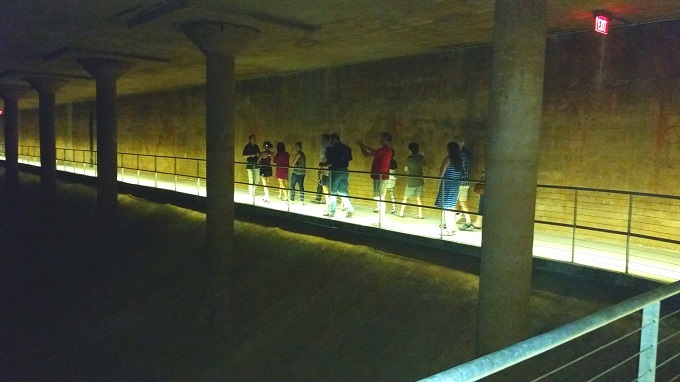 The Cistern is reminiscent of the ancient Roman cisterns under Istanbul, according to their website. Built in 1926, the Cistern was one of the city’s first underground reservoirs, it supported the municipal water system’s goals of fire suppression (water pressure) and drinking water storage, states it’s website. It operated for decades until the mid-2000’s when the reservoir sprung an irreparable leak and was decommissioned. According to BBP, “The space was left in as raw of a state as possible to not lose the natural beauty of the columns, light reflection offer by the water and sound amplification.” Realizing the gem they had rediscovered, BBP and the City of Houston worked to repurpose the space and transform it not only into a public space, but a space to also house temporary, environmental art installations in the future. With secured grants of over $1.7 million from The Brown Foundation, Inc., the Cistern was brought up to code. “The architecture and engineering firm, Page, was charged with designing a ground-level entry structure to help transition visitors from the outside world to the Cistern and making improvements to the shelf on the perimeter of the space to create a 6-foot wide accessible walkway with guardrails,” states BBP’s site. 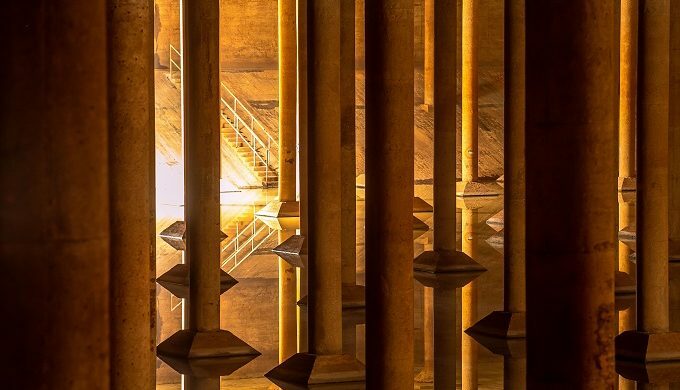 SWA Landscape Architect Kevin Shanley first called the reservoir “the Cistern” because it reminded him of the ancient Roman cisterns under Istanbul. As you descend into the darkness of the space, you are transformed into a place much like what an ancient ruin in Egypt could be like. 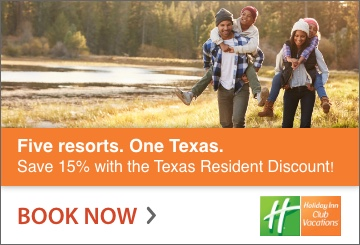 With dim light and long walkways leading you around the space, you are immediately greeted with towering, beautiful columns sitting atop a layer of water and surrounded by concrete, empty walls that you can imagine will bestow Houston historical facts and art installations to further enhance the space in the future.